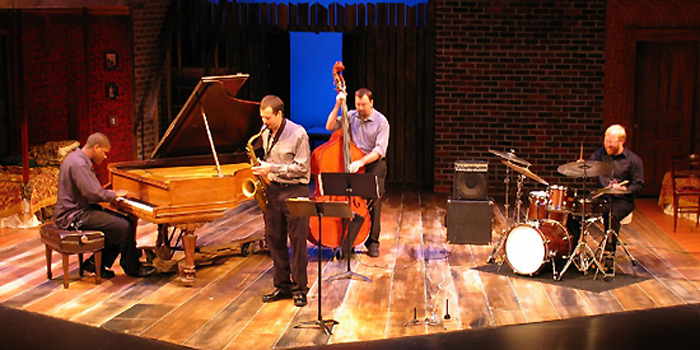 This page serves as a resource for current students in the SDSU Jazz Studies program or for those interested in specific requirements of the department for admission. Unless otherwise indicated, each link corresponds to an Adobe PDF document with the approximate file size for download. If you do not have the free Adobe Acrobat Reader, please download it here. Performance of two tunes in contrasting styles, tempos and keys. One must be memorized. Consult with your private studio instructor. Performance of two tunes in contrasting styles, tempos and keys. One must be memorized. Consult with your private studio instructor. These pieces must differ from divisional recital repertoire. Divisional Recital—Performance of two tunes in contrasting styles, tempos and keys. One must be memorized. Refer to the Recital Parameters and Guidelines on the Jazz Studies webpage and consult with your private studio instructor. You must prepare two different pieces for the jury. THIS JURY DETERMINES WHETHER OR NOT YOU WILL ADVANCE TO UPPER DIVISION LESSONS AND, FOR JAZZ STUDIES MAJORS, TO BE APPROVED TO PERFORM JUNIOR AND SENIOR RECITALS. Comprehensive review of all undergraduate modes and scales. Divisional Recital (No divisional or jury required if performing Junior or Senior Recital). Performance of two tunes in contrasting styles, tempos and keys. One must be memorized. Refer to the Recital Parameters and Guidelines on the Jazz Studies webpage and consult with your private studio instructor. You must prepare two different pieces for the jury. 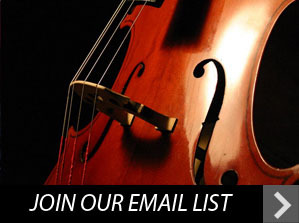 Refer to Recital Parameters and Guidelines and consult with private studio instructor. (No Jury or Divisional Recital Required for this semester). Comprehensive review of undergraduate modes and scales, Semesters I and II. Divisional Recital (No divisional or Jury required if performing Jr. or Sr. Recital)—Performance of two tunes in contrasting styles, tempos and keys. One must be memorized. Refer to the Recital Parameters and Guidelines on the Jazz Studies webpage and consult with your private studio instructor. You must prepare two different pieces for the jury. Divisional Recital (No divisional or Jury required if performing Graduate Recital)—Performance of two tunes in contrasting styles, tempos and keys. One must be memorized. Refer to the Recital Parameters and Guidelines on the Jazz Studies webpage and consult with your private studio instructor. You must prepare two different pieces for the jury. Jazz faculty will accompany you on your selected repertoire. Please have chord or lead sheets available. Your selections must be in contrasting styles, tempos and keys. One must be memorized and the other can be read. Remember, these pieces must be different from those performed at your divisional recital. At each jury you will be expected to play the assigned modes and scales in all keys. When playing the modes and scales, they must be played at a steady tempo. The minimum required tempo allowed is note = 110 in straight eighth notes. You are free to play at faster tempos if you wish, but remember, all scales must be played at a consistent tempo. Piano—All modes and scales are to be played hands together in parallel motion, two octaves. Guitar—All modes and scales are to be played two octaves. Be prepared to play in at least two different positions if asked. Bass—All modes and scales are to be played two octaves. Be prepared to play in at least two different positions if asked. Vibes—All modes and scales are to be played two octaves. Brass and Woodwinds—Octaves will be required except where range limits. At the point where two octaves are beyond an instrument’s range, an octave and a half will be required. Drum Set—Performance of different styles and time feels (swing, shuffle, jazz waltz, bossa, samba, funk, trading of 4’s soloing, etc.) and sight-reading. Performance of two tunes in contrasting styles and tempos. One performed on the secondary instrument and one performed on the primary instrument. One must be memorized. Consult with your private studio instructor. Performance of two tunes in contrasting styles and tempos. One performed on the secondary instrument and one performed on the primary instrument. One must be memorized. Consult with your private studio instructor. These pieces are not allowed for divisional recitals. Divisional Recital—Performance of two tunes in contrasting styles and tempos. One performed on the secondary instrument and one performed on the primary instrument. One must be memorized. Refer to the Recital Parameters and Guidelines on the Jazz Studies webpage and consult with your private studio instructor. You must prepare two different pieces for the jury. Performance of two tunes in contrasting styles, tempos and keys. One performed on the secondary instrument and one performed on the primary instrument. One must be memorized. Consult with your private studio instructor. These pieces must differ from divisional recital repertoire. Divisional Recital - Performance of two tunes in contrasting styles, tempos and keys. One must be memorized. Refer to the Recital Parameters and Guidelines on the Jazz Studies webpage and consult with your private studio instructor. You must prepare two different pieces for the jury. Divisional Recital (No divisional or Jury required if performing Jr. or Sr. Recital. Non-Jazz Majors will play a divisional recital every semester) - Performance of two tunes in contrasting styles, tempos and keys. One must be memorized. Refer to the Recital Parameters and Guidelines on the Jazz Studies webpage and consult with your private studio instructor. You must prepare two different pieces for the jury. Divisional Recital (No divisional or jury required if performing Graduate Recital)—Performance of two tunes in contrasting styles, tempos and keys. One performed on the secondary instrument and one performed on the primary instrument. One must be memorized. Refer to the Recital Parameters and Guidelines on the Jazz Studies webpage and consult with your private studio instructor. You must prepare two different pieces for the jury. Jazz faculty will accompany you on your selected repertoire. Please have chord or lead sheets available. Your selections must be in contrasting styles, tempos and keys. One performed on the secondary instrument and one performed on the primary instrument. One must be memorized and the other can be read. Remember, these pieces must be different from those performed at your divisional recital. At each jury you will be expected to play the assigned modes and scales in all keys. When playing the modes and scales, they must be played at a steady tempo. The minimum required tempo allowed is note = 110 BPM in straight eighth notes. You are free to play at faster tempos if you wish, but remember, all scales must be played at a consistent tempo. Brass and Woodwinds—Two octaves will be required except where range limits. At the point where two octaves are beyond an instrument’s range, an octave and a half will be required.